In 2018, the Global Center marked its sixth year of partnership with the Ethiopian Financial Intelligence Center (EFIC), Federal Attorney General (AG), and other stakeholders under two phases of technical assistance programming supported by the government of Denmark. Ethiopia has made substantial progress in strengthening its anti-money laundering and countering the financing of terrorism (AML/CFT) regime. The Eastern and Southern Africa Anti-Money Laundering Group recognized this progress in November 2018 when it increased Ethiopia’s compliance rating on nine Financial Action Task Force (FATF) Recommendations. Further, Ethiopia has demonstrated its ability to effectively utilize AML/CFT frameworks to detect and investigate financial crimes, as evidenced by the high profile arrests of intelligence, military, and business officials over alleged corruption and human rights abuses in November 2018. Trainings and Capacity Development: In collaboration with the EFIC and AG, the Global Center facilitated 27 trainings for 624 participants representing 51 different institutions, organizations, and businesses in Ethiopia from 2016-2018. These efforts have contributed to the capacity development of individuals and institutions and fostered stronger relationships and information sharing pathways between institutions. National Risk Assessment: Ethiopia finalized its national risk assessment in 2016, a critical element of compliance with the FATF standards. The findings of the national risk assessment are instrumental in advancing Ethiopia’s risk-based approach (RBA) to AML/CFT and to deepening the understanding of Ethiopia’s unique threat and vulnerability profile. Building off this process, the EFIC is leading a sectoral risk assessment for non-profit institutions and real estate as identified areas of higher risk. Risk-Based Approach to Supervision: To advance effective compliance procedures in line with the findings of the national risk assessment, the Global Center supported the EFIC in establishing an intra-agency drafting committee to develop policy guidance on implementing a RBA to supervision. The EFIC collaborated with the National Bank of Ethiopia (NBE) to develop a manual on RBA supervision for financial institutions, and with other regulatory authorities to develop a similar manual for RBA supervision for designated non-financial businesses and professions (DNFBPs). To date, the EFIC and NBE have conducted joint on-site inspections of six financial institutions and are prioritizing supervisory mechanisms among identified risk-risk DNFBPs. AML/CFT Manual and Practitioner’s Guide for Investigators and Prosecutors: In order to facilitate sustainable institutional development, a committee of local experts collaborated with the Global Center to draft an AML/CFT manual for investigators and prosecutors in an Ethiopian context. The manual provides an overview of international and domestic legal frameworks for AML/CFT, including an overview of the relevant actors, compliance obligations and processes, and sources of information that may be useful in conducting money laundering and terrorist financing investigations and prosecutions. The manual is augmented by a practitioner’s guide that offers practical guidance for conducting financial crime investigations in line with Ethiopian legal frameworks. 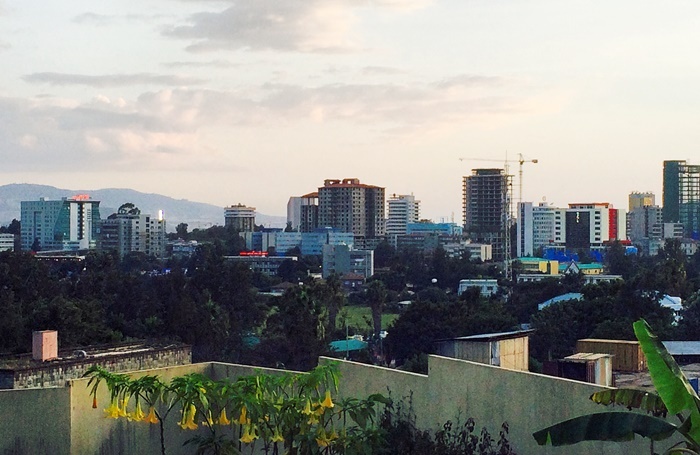 Three Multi-Course Training Programs on Effective Financial Crime Investigations and Prosecutions: One of the key areas highlighted in Ethiopia’s mutual evaluation and subsequent follow-up reports has been low levels of technical capacity among investigators and prosecutors pursuant to AML/CFT and financial crime investigations. Many provisions of Ethiopia’s AML/CFT law have yet to be tested in court, resulting in variances in interpretation and application. To address these challenges, the project supported three multi-training certification programs on effective financial crime investigations and prosecutions for over 110 representatives from the AG, Ethiopian Police University College (EPUC), Federal Police, Addis Ababa Police Commission, Regional Police Commissions, and Federal Investigation Bureau. Graduates of this program have been engaged by the AG in facilitating local trainings at the sub-city level, with EPUC graduates implementing an AML/CFT module into the training curriculum. Regional Training Series on AML/CFT: In order to deepen capacities outside of the capital, a series of regional trainings were facilitated for police, investigators, and prosecutors in each of Ethiopia’s nine regions. Demonstrating its strong institutional capacity and role as experts on AML/CFT issues, trainings were led by EFIC and AG staff with the support of the Global Center consultant Mr. Biniam Shiferaw Ayalew. Trainings were conducted in Bahir Dar (Amhara region), Adama (Oromia region), Hawassa (Southern Nations, Nationalities, and Peoples’ region), Jijiga (Somali region), Mekelle (Tigray region), Semera (Afar region), Gambela (Gambela region), Assosa (Benishangul region), and Hara (Harai region), as well as in Addis Ababa and Dire Dawa for over 300 participants. Asset Freezing and Non-Proliferation Legislation: Building upon prior trainings and gap analysis, the AG established an intra-agency committee to conduct research and draft new legislation related to the financing of weapons of mass destruction as well as legislation and procedures to strengthen asset freezing, confiscation, and management. Draft legislation on proliferation financing is awaiting approval from Parliament, and will address the final major technical gap identified by the FATF during Ethiopia’s mutual evaluation. For more information about this program, please contact Ms. Tracey Durner at tdurner@globalcenter.org.